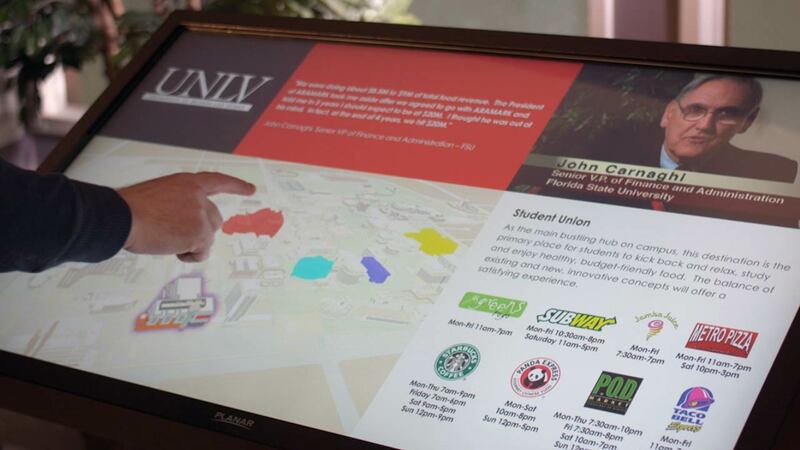 Provis was tasked with creating an interactive way to deliver information to UNLV faculty and students. Provis delivered a solution that allowed users to search for information, turn pages, explore interactive maps, view videos and zoom into high resolution photos. The results for UNLV were positive and led to ARAMARK requesting solutions for several other universities.